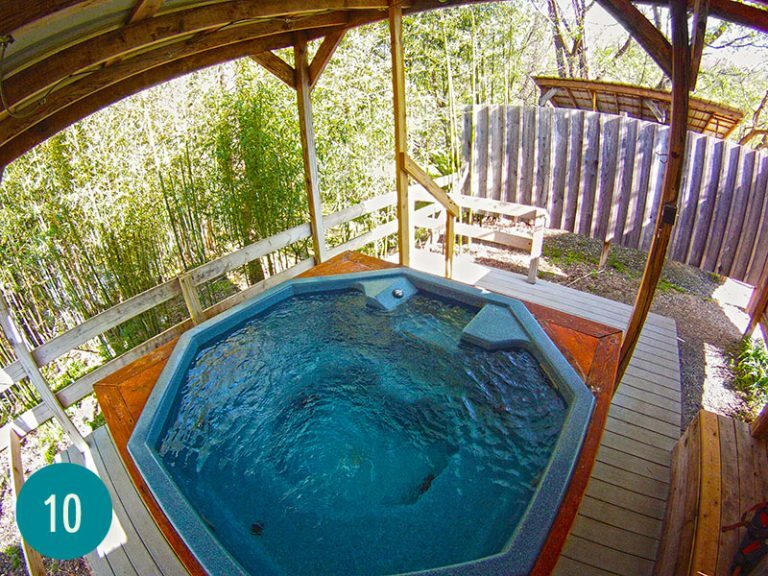 After an hour of soaking in the 100-104 degree waters, enjoy a health-promoting massage by one of our nationally certified and state licensed massage therapists offering a range of massage modalities from relaxation to deeper more therapeutic massages. 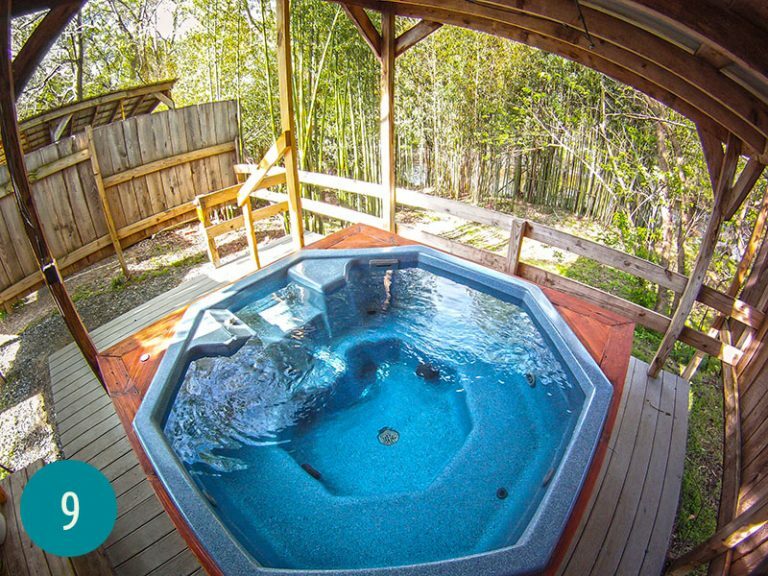 All Mineral Baths & Massage reservations require a 24 hour advance notice of cancellation. Some treatments may not be appropriate for people with uncontrolled high blood pressure, diabetes, severe allergies, sunburn, or women who are pregnant or nursing. All of our massage and body treatments are performed by North Carolina Licensed Massage and Bodywork Therapists. We offer two couples massage facilities. Our couples facility is accessible to people with disabilities. 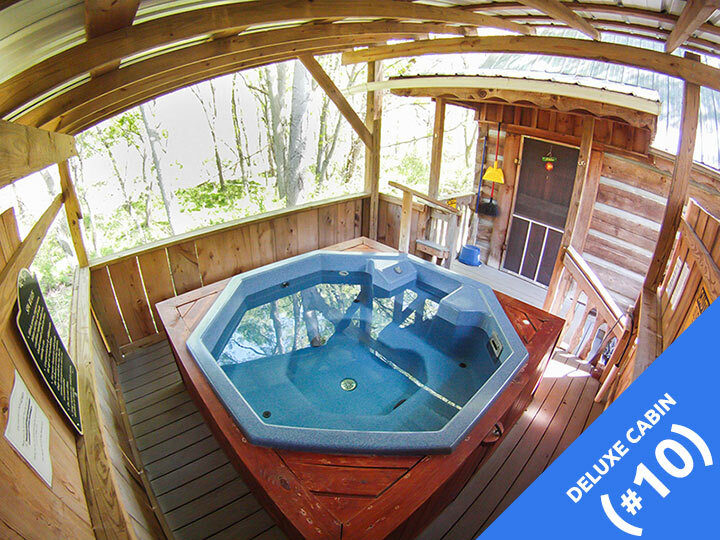 All Mineral Baths & Massage reservations require a 24 hour advance notice of cancellation. All rates are subject to change without notice. All massage clients must be at least 18 years old. 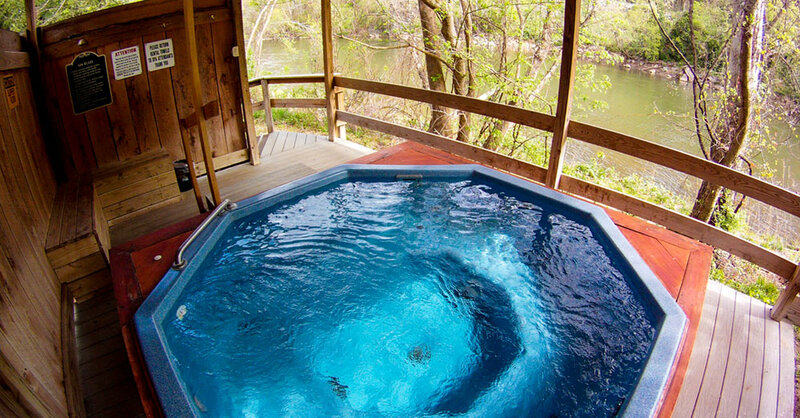 Whether you’re treating a health problem or simply relaxing in the hot waters of our natural mineral baths, the health-giving properties of this resort’s hot mineral waters have been famous since 1778. Just relaxing in the hot water relieves stress and fatigue from the mind and body, and after strenuous exercise or work, soaking in these waters eases stiffness and pain of the muscles and joints, helps increase circulation and oxygen flow and has been known to help most circulatory illnesses. 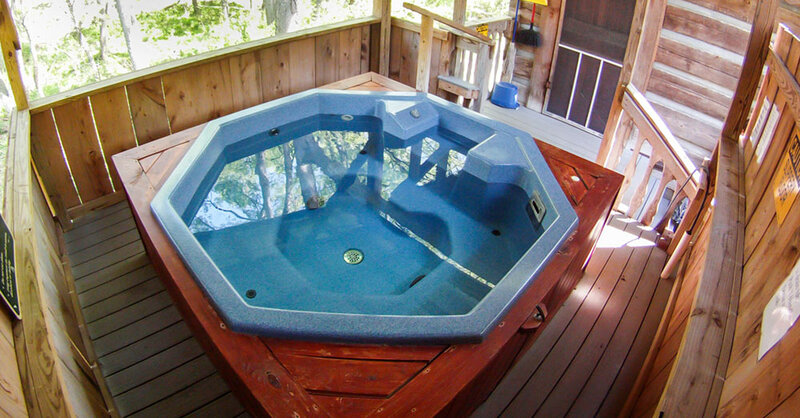 We feature jetted hot tubs built into attractive wooden decks with the hot natural mineral water flowing constantly to them from deep inside the earth. Each bath is drained and sanitized after each use. 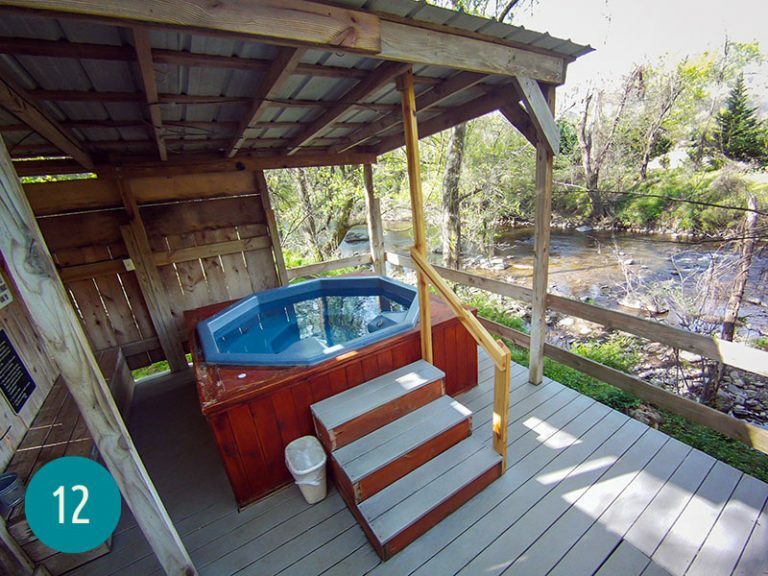 One can relax in secluded, private outdoor settings along the scenic Spring Creek and French Broad River. 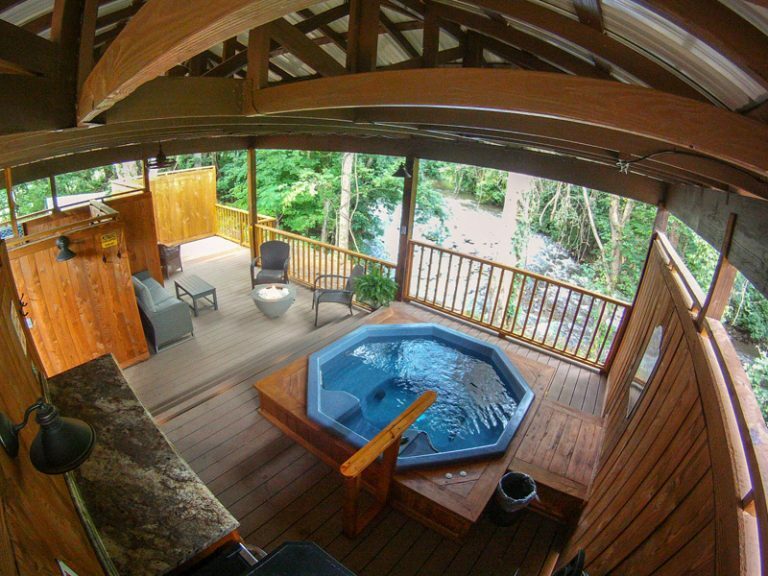 The best way to experience the true magic of Hot Springs Resort & Spa is to stay in our accommodations that have their own private mineral bath. 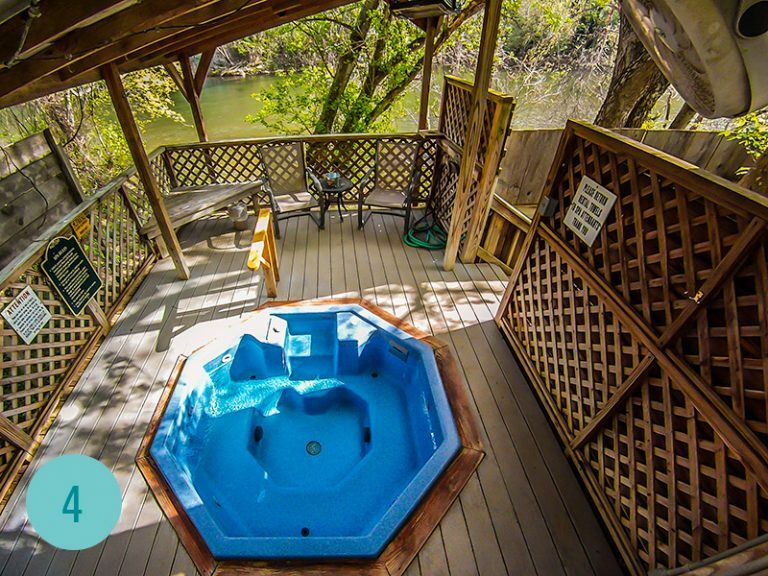 When you play in Hot Springs we recommend that you stay in Hot Springs. 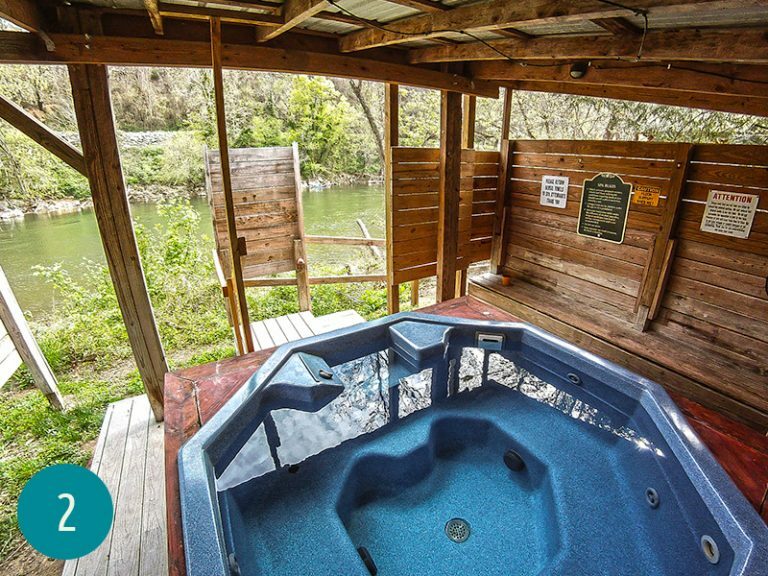 Our private accommodations with mineral baths are in a variety or settings and price ranges. 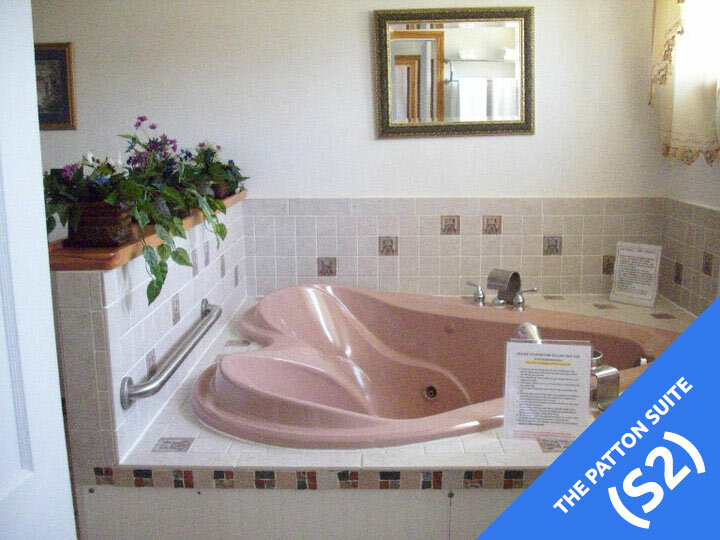 Signature Tubs are the premium indulgence in our world famous mineral baths. 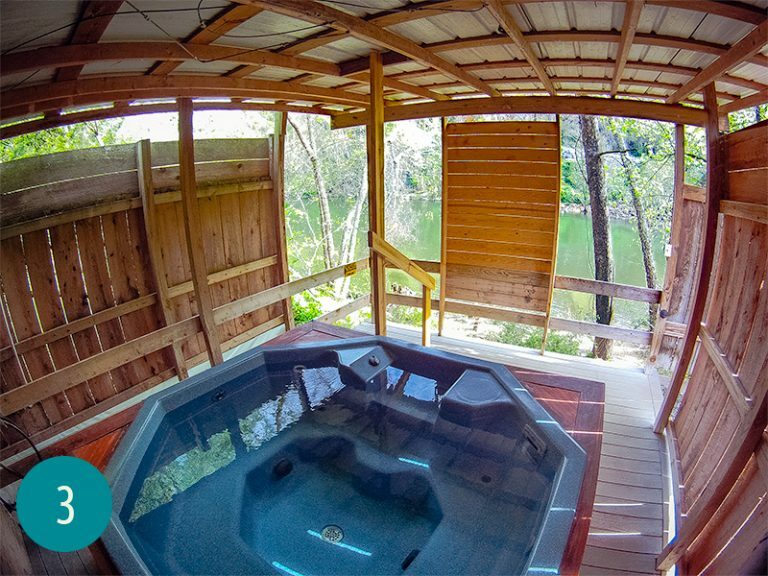 These tubs will feature a large private cabana style tub area with a sundeck, private fire, and a naturally heated mineral water shower. 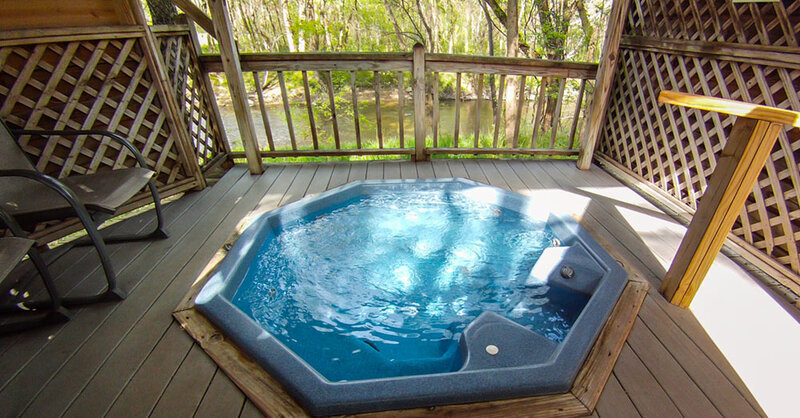 Robes, towels, and bottled water are included.Signature tubs have a maximum capacity of 4 people ( no children under 12) Sessions in the Signature Tubs are 90 minutes. 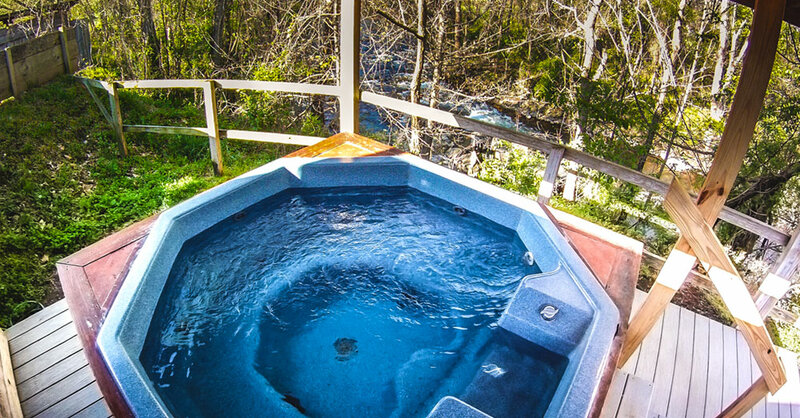 Hot Springs Resort & Spa is excited to announce the first mineral bath in our Signature Tub Series. 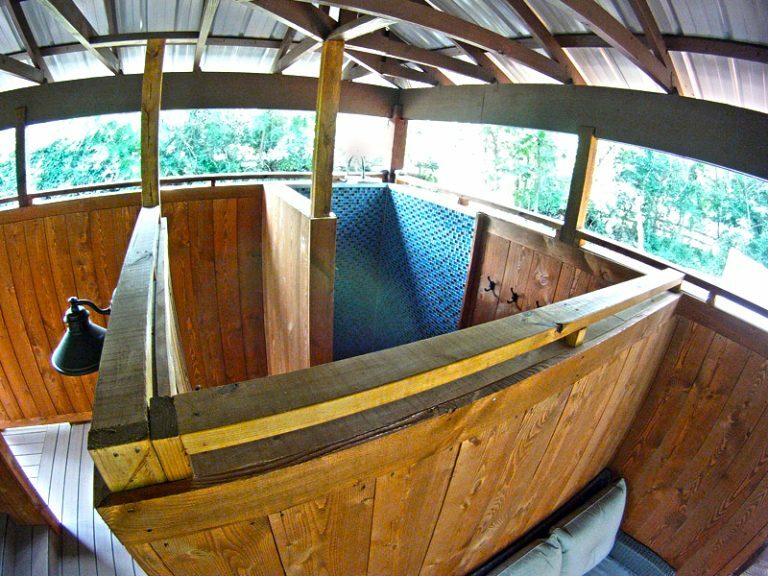 The Cascade tub (formerly tub #17) is the ultimate in mineral bath experiences. 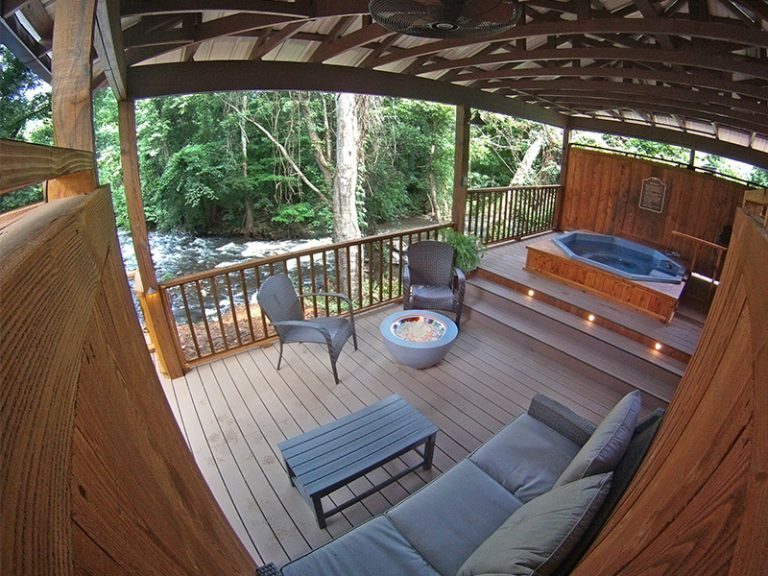 This very private cabana style mineral bath includes the world famous natural hot mineral water in a jetted hot tub, private naturally hot mineral water shower, private dressing room, Private fire ring, sundeck, towels, and robes. 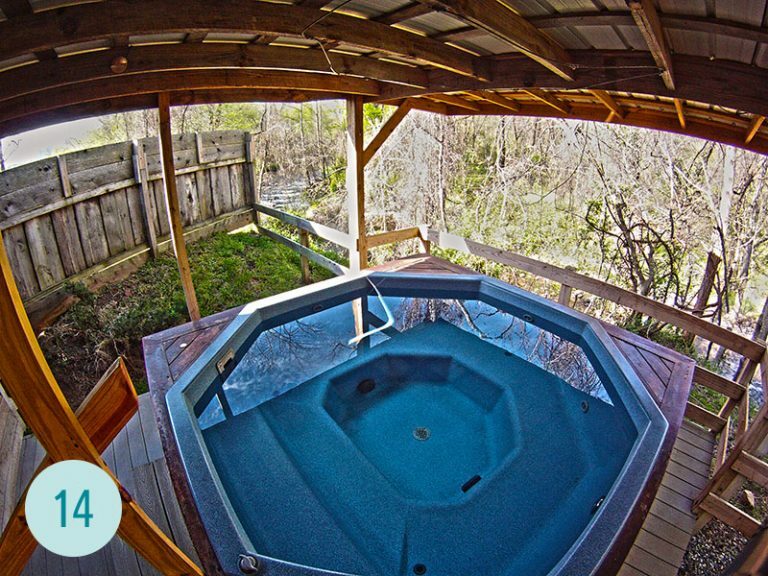 Sessions in the cascade tub will be 90 minutes. 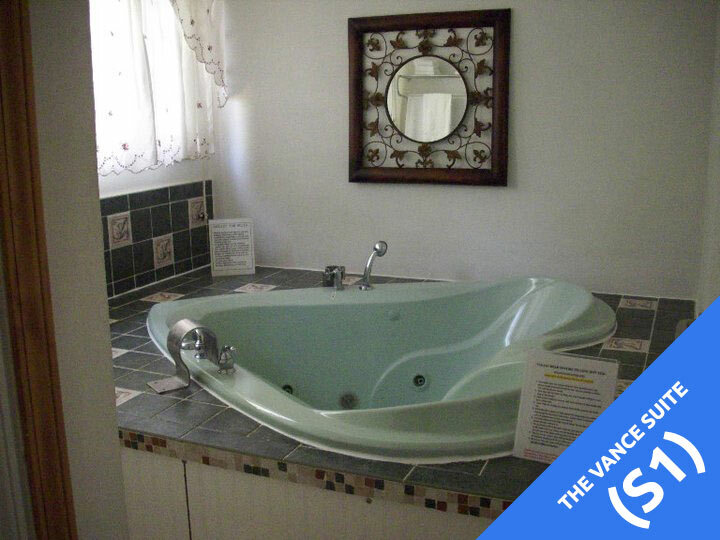 This mineral bath has a maximum capacity of 4 people, no children under 12 are allowed at the cascade tub. Very nice place to stay. 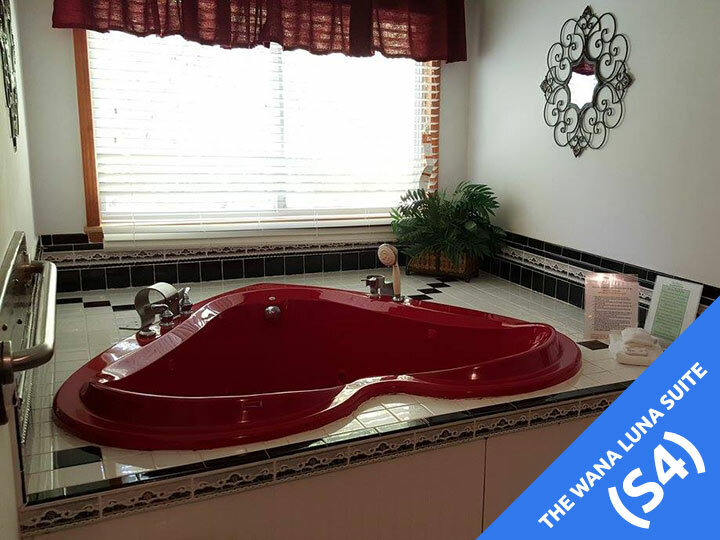 We had a lovely evening in our own private suite with a heart shaped tub. Close to the town with places to eat. The suite was very nice with a bedroom, little living room and a separate room with the tub. Very quiet and serene. Great Experience! 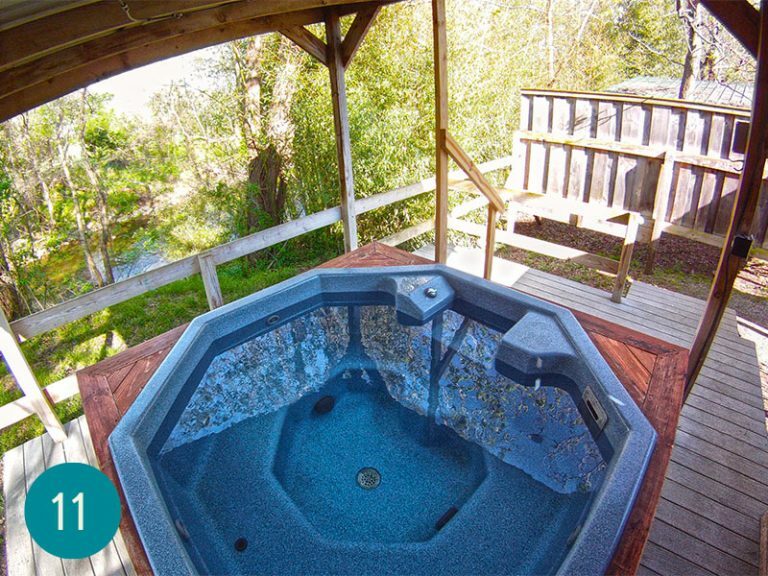 the hot tub is filled with natural spring water pumped into the private hot tubs. 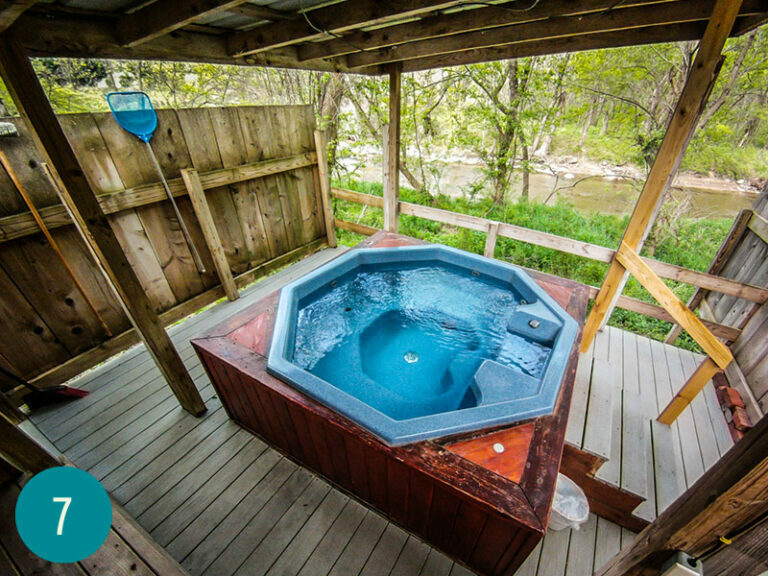 Each tub is enclosed to surrounding tubs, but open to the streams running by – very cozy and romantic! 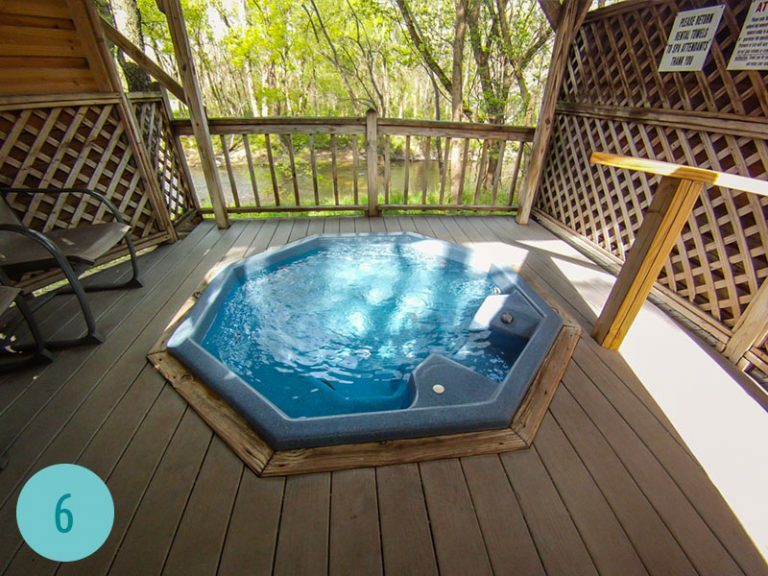 Hot Springs Resort and Spa has a licensed and professional Massage Therapists and Estheticians that provide a variety of relaxing and rejuvenating treatments. A massage, body treatment, or esthetics treatment is the perfect addition to your time in our world famous natural hot mineral water. A relaxing full body massage. Soothing motions encourage a calming effect on body and mind, while stimulating circulation. 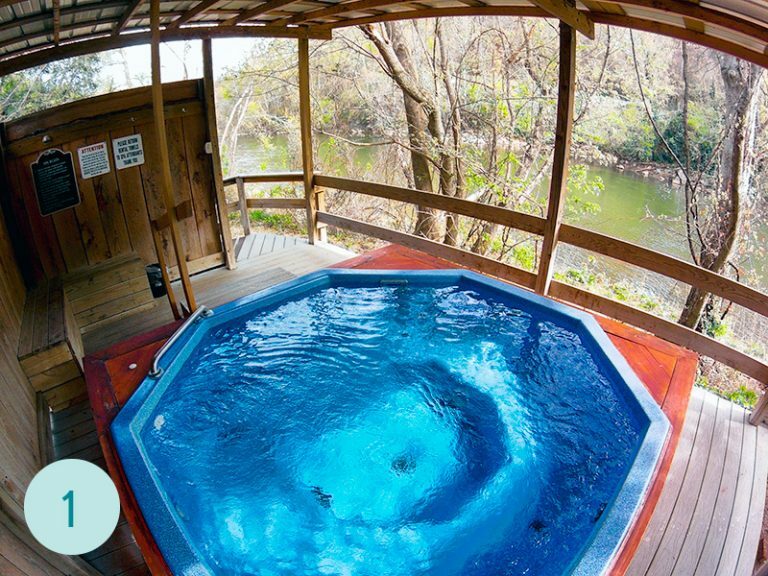 Specialty treatments at Hot Springs Resort and Spa are a true experience in decadence. These specialty treatments can be offered individually or in one of our couples treatment rooms with your special someone. 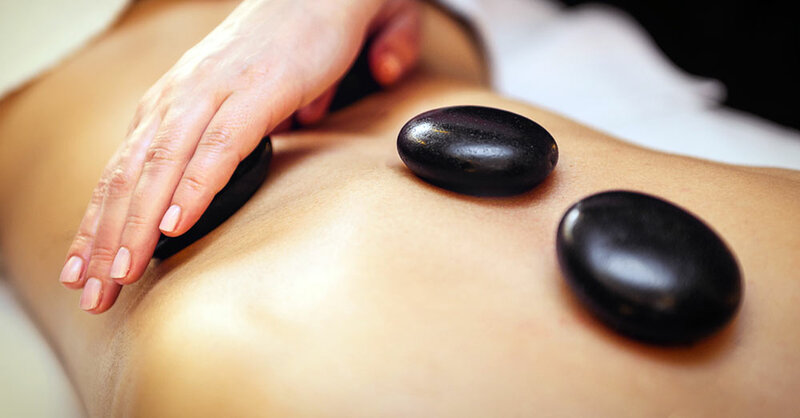 Experience Massage Therapy like never before with this incredible treatment. Gentle use of warm smooth Basalt stones. The deep penetrating moist heat relaxes the muscles and expands the blood vessels, creating a sedative effect on the nervous system. Experience rejuvenation as a blend of locally made rosemary mint sugar scrub and essential oils are used to gently exfoliate your entire body. Following a shower , your skin will be treated with a deeply moisturizing body lotion. An ultra-hydrating treatment that relaxes your whole body. Essential oils and plant extracts are applied to nourish your skin and destress your mind. Drift away in a warm thermal wrap as your receive a head and neck massage. The session concludes with a generous application of essential oil. An ultra-hydrating treatment that relaxes your whole body. Mud made from seaweed detoxifies your body while re-mineralizing and firming your skin. An excellent treatment to accompany your soak in the natural hot mineral water. Your whole body will thank you when you let us treat your feet to this incredible experience. First, we gently exfoliate with locally made rosemary mint sugar scrub and essential oil. What follows is an extensive foot massage that will be deeply relaxing, yet leave you invigorated from head to toe. Skin Care treatments are the perfect indulgences to let your inner and outer beauty shine. 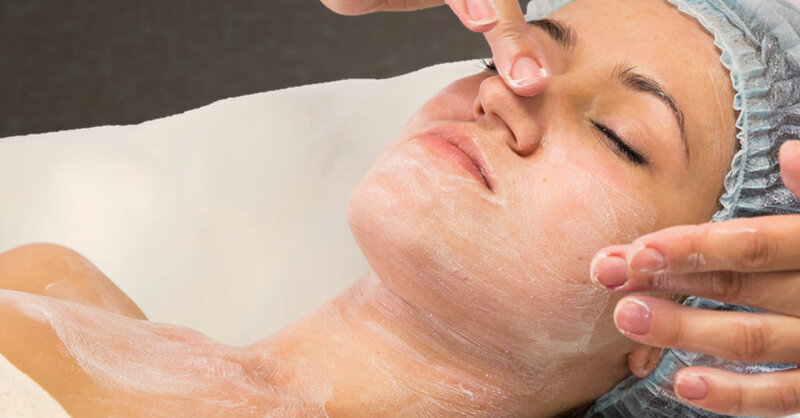 Our variety of treatments not only relax the body and mind but also educate on your specific skin type and how to maintain that after treatment glow. When you are short on time or just can’t make up your mind, choose to indulge yourself with a 30 minutes moisturizing facial treatment and a 30 minute relaxing massage with the same therapist. Our most decadent treatment. 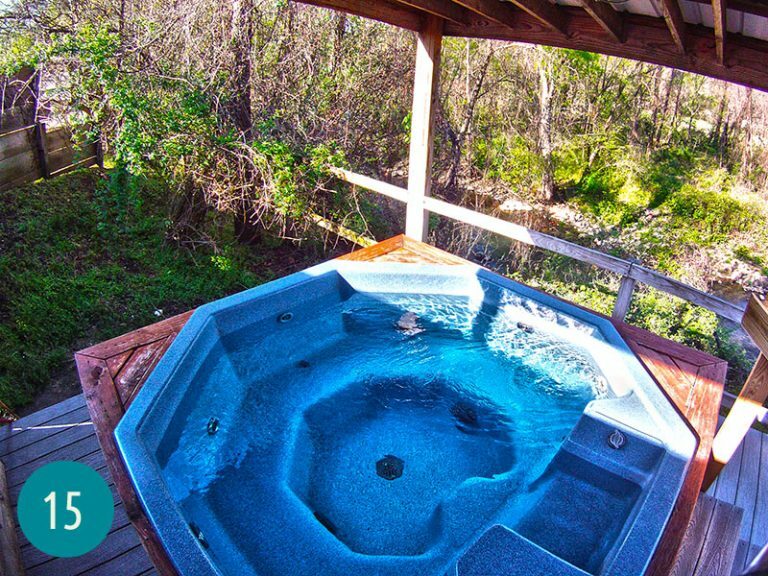 Experience the ultimate in relaxation. 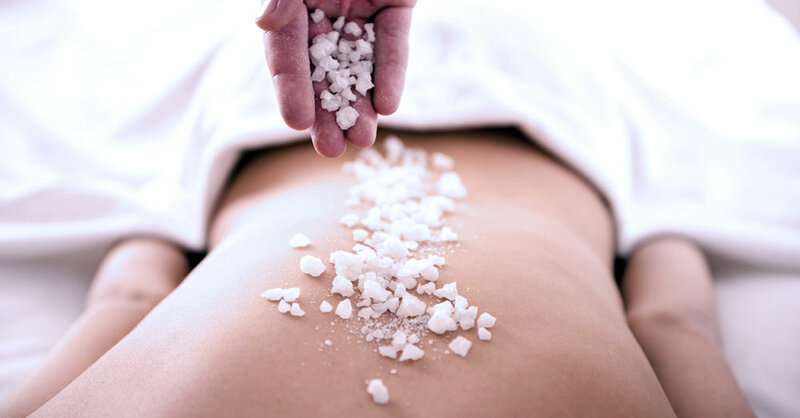 To begin enjoy a full body exfoliation followed by an herbal wrap. While you are in the warm cocoon notice your tension melt away while you receive a hydrating facial treatment. To complete your pampering, a full body massage, to ease tired muscles. A wonderful way to smooth those areas that are just out of reach. 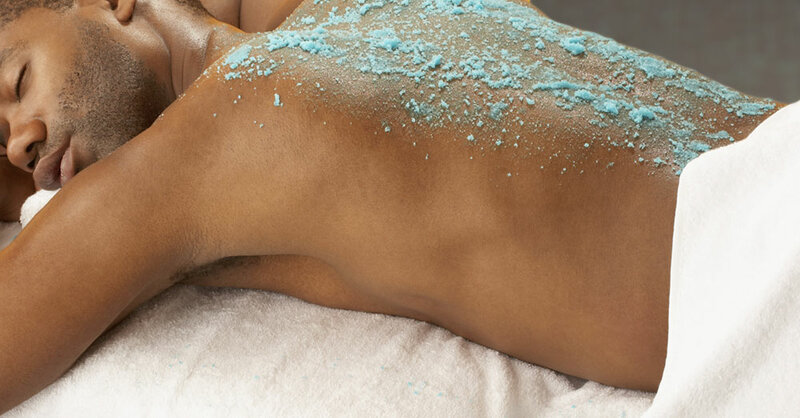 The cleansing, exfoliation and moisturizing will leave your back feeling silky soft and wonderfully relaxed. A rejuvenating facial to invigorate and hydrate. Great for all skin types. Deep cleanses and revitalizes dull, tired skin. Professional skincare and massage leave your skin feeling completely relaxed and balanced. A great introduction to professional skincare or a quick pick-me-up for those short on time. Gentle cleansing, exfoliation, and moisturizing for a relaxed and refreshed appearance.